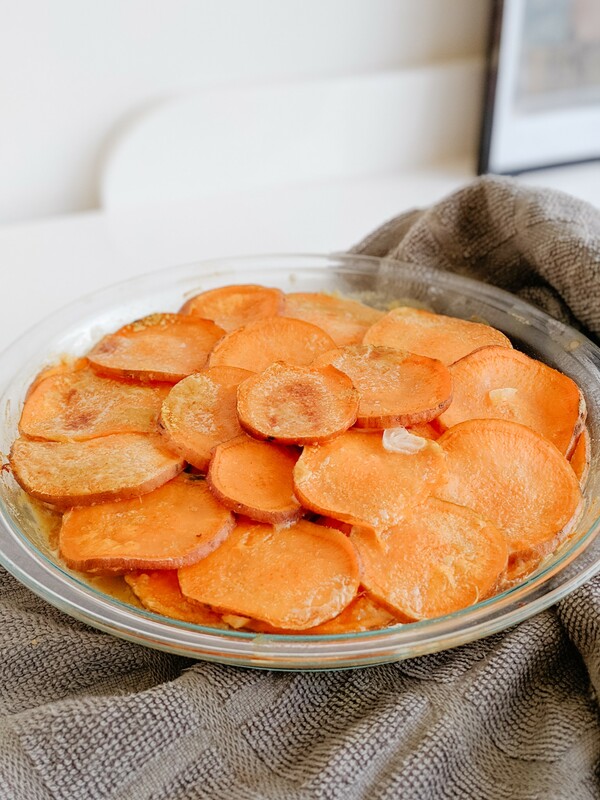 I have such fond memories of my mom's scalloped potatoes. It's one of those comfort foods that I think of from time to time and get a major craving for them. The funny thing is, when I asked my mom for the recipe she confessed she makes it up every time (a true cook!). With Easter being just a few days away I thought these would make for a perfect side dish. Being someone who now eats very little dairy, I've been dreaming up ways to make a dairy-free version. And because I love sweet potatoes so much I thought I would give it a shot with them instead. This recipe is actually pretty versatile. 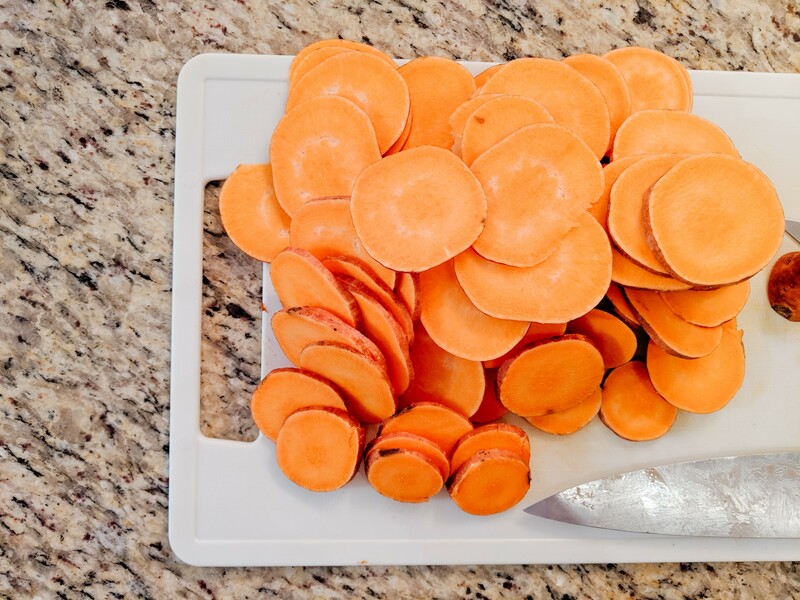 It would work with regular boiling potatoes instead of sweet potatoes, you just may need to parboil them for another minute or two and bake for another 5 minutes. If you are vegan or lactose intolerant they can be made completely dairy-free using a vegan butter, or you could try with a little bit of olive oil. I personally think ghee or grass-fed butter provide the best results. Lastly, you can omit the onions or use bacon instead or use bacon in addition to the onions.